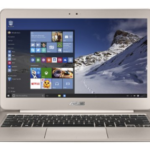 ASUS X44L-BBK4 is a 14-inch laptop equipped with a 2nd Gen Intel® Core™ i3-2330M processor, 4GB DDR3 memory, and 500GB hard drive (5400 rpm). 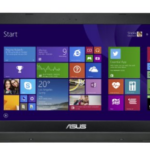 The laptop sports a 14″ LED-backlit display, and UMA graphics. 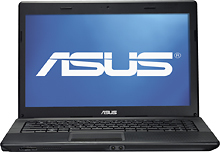 The ASUS X44L-BBK4 laptop also comes with Built-in 0.3MP webcam, Multiformat DVD±RW/CD-RW drive, Built-in facial recognition, Multiformat media reader, 802.11n WiFi, Built-in 10/100/1000 Mbps Fast Ethernet LAN, and 4-cell battery. The laptop runs on Windows 7 Home Premium Edition 64-bit operating system. You see, such a configuration is good enough for our daily use, people are very happy with it. 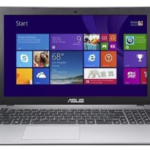 Oh yeah, the ASUS X44L-BBK4 has become a hot selling laptop on Best Buy, more and more people are choosing it, so I think I'd better share it with you guys today. As a well-configured 14″ ASUS laptop, the X44L-BBK4 is ideal for most people, you can use it to do whatever you want, the Intel® Core™ i3 processor features smart 4-way processing performance for HD quality computing. And the Multiformat DVD±RW/CD-RW drive with double-layer support allows you to record up to 8.5GB of data or 4 hours of video using compatible DVD+R DL and DVD-R DL media. Weighing 5.4 lbs. and measuring just 1.5″ thin, the ASUS X44L-BBK4 is very convenient, you can take it with you wherever you go. So I believe you guys will be fond of this laptop too. As to price, Best Buy now has a promotion for this laptop, it's priced at $379.99 with FREE Shipping, people are crazy about it. Well, what's your opinion on the ASUS X44L-BBK4 14-Inch Laptop? 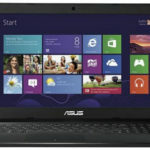 How do you install 8GB ram on this asus X44L-BBK4 labtop?